All the good things you've ever read about Jackie are true. When you meet him in person you know right away that he is a good person and that he cares very deeply about his fans. Jackie is full of energy and doesn't ever WALK into a room - he BOUNCES! He is full of smiles and greetings - and he's very very funny. Jackie knows how to treat his fans - every little detail was taken care of. 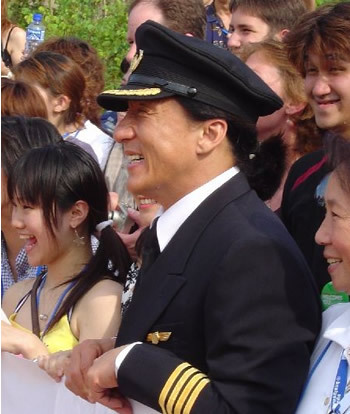 Jackie opened his heart and his private space to us and that's why Jackie Chan is one of the totally coolest things about Hong Kong! Click the links to see photos of Jackie's private offices in Hong Kong!